Associated Carpet is one of the largest flooring stores in Connecticut. We have been in business for over 58 years at the same location and under the same owners and enjoy a sterling reputation for supplying quality flooring with exceptional workmanship at very competitive pricing. While other stores have come and gone, Associated Carpet will still be open for business to serve our customers now, and in the future. NOTHING BEATS A GREAT REPUTATION! At Associated Carpet we believe that it should be all about you. Our main goal is to do everything possible to make you satisfied. Associated Carpet carries a complete line of products from the world's leading manufacturers. Click on the links below to find out more about these products. Associated Carpet has experienced, quality minded professionals in both residential and commercial markets. Thank you very much for this work. I will give you the highest rating in our system. We will call you for future work in your area. We absolutely love working with Associated Carpet. We have done a few jobs with you already and are always pleased with the experience. The prices are great, the sale is pressure free, you are always willing to accommodate in any way possible and the installers have been very pleasant and neat aside from being efficient and professional during the actual installation. Thank you for providing a wonderful service! Just a note to let you know how pleased I am with the carpet and installation in my mud room/laundry room area. Your installers arrived on time, were professional, courteous and even though this was a small area, had great attention to detail. They did an amazing job - everything was perfect when they left and I am very satisfied. I also appreciate your time in bringing samples to my home to help me find the perfect carpet. 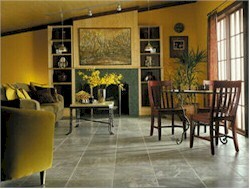 Your knowledge, experience and quality flooring are why we chose your company 20 years ago and are still coming back. Excellent experience. Reliable, honest, knowledgeable. Stand behind the products they sell and install. Thank you for your excellence service as always. The carpet is beautiful! Best wishes and a happy holiday season. I recently bought a new vinyl floor and full carpeting for a new house; prices were excellent and service fantastic. Owners kept contact throughout the entire process and ensured everything was to my satisfaction; payment was not due until everything fully installed. Even recieved a thank you note in the mail after purchase thanking me for my business. My parents have also used them for years and all products have held up. Strongly recommended!! Over the past several years I have had the pleasure of working with the helpful and experienced staff at Associated Carpet for our numerous projects.. I can always depend on their expert advice for providing the right product for the right job. Not only do I value their knowledge and expertise, but the entire staff works with me to make sure everything is completed in a professional and timely manner. Hello Larry and Robbie. Thank you so much for working with us again and helping us with the purchase of new flooring for our kitchen. As always, you were a great help and wonderful to work with. As promised, I enclosed some photos of the completed floor in our family room. Feel free to display them if you'd like. I will send one of the kitchen floor too. Thank you again for all of your help. We will see you again soon, when we we move on to the next room.